The first time I fell in love with a book, I was 3 years old. The book was large, with pages of cold, smooth, glossy cardboard that acted as the perfect backdrop for its story: a lonely rabbit has finally found a friend—an egg. The egg is cold, smooth, a most unsatisfactory companion, and after a while the rabbit gets annoyed with it, rolling it around, even throwing rocks at it. Eventually he falls asleep, and the egg does what eggs do: it hatches according to its own timing and plan, and out comes a fluffy duckling. In my memory, the duckling feels soft and fuzzy, but perhaps that wasn’t the book at all, just the feeling it gave me. I was already reading prodigiously at this age—driving my father crazy by loudly announcing every street sign and shop name that we passed—but what I recall so strongly about this particular book is how sensuous the act of reading was, lying on my stomach on a soft carpet, my hand reaching for tea and a Marie biscuit, the cold floor surrounding me, the cold cardboard of the book before me. Nabokov says that he read great literature with his spine, feeling its force in his backbone. I read this book with my whole body. Somewhere nearby was the owner of the book, Hugo, my best friend in the Little Green School in Johannesburg. 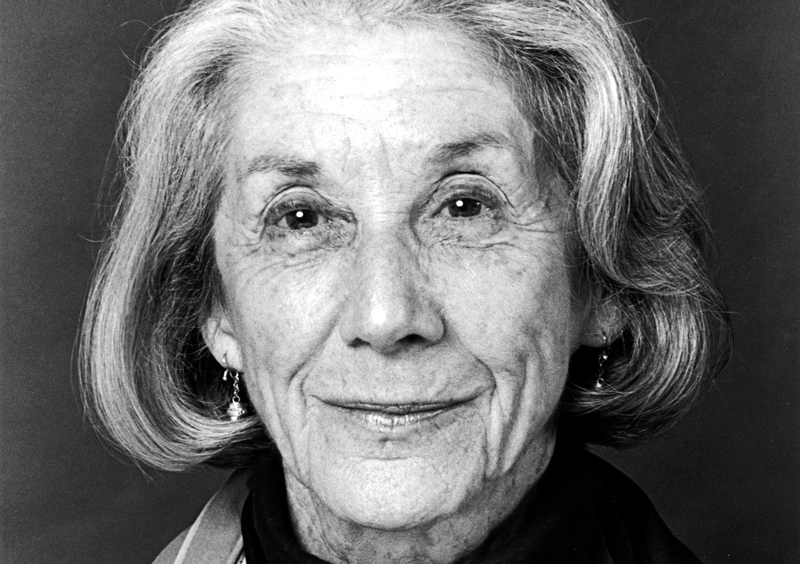 His mother, Nadine Gordimer, who died in July at the age of 90, was a friend of my parents, part of the same literary, liberal circle in the city’s northern suburbs. My father was the editor of The Golden City Post, the country’s first mass-circulation multiracial newspaper. Many of the black editors and writers he worked with—Nat Nakasa, Ezekiel (later Es’kia) Mphahlele, Can Themba and Todd Matshikiza—were Nadine’s friends too, and she advocated tirelessly for their writing, seeking to bring her own larger audience to their work. There’s a copy of The Classic, Nat Nakasa’s literary magazine, on my bookshelf today that includes a letter from Nadine on South African PEN stationery, asking my dad to be sure to tear out the pages containing Can Themba’s story, “The Suit,” as Can was a banned person and his work was not allowed to be read. The pages are indeed missing, carefully excised with a razor. But I am sure my father read them first, as Nadine intended him to. Although less involved in the political activism that connected Nadine and my father, my mother knew her better—through bringing me to Hugo’s house to play (or to bury myself in his books), but also through their mutual friendship with the Afrikaner trade unionist Bettie du Toit. Bettie was a ferocious advocate for the rights of black Africans, but she was also popular for her support of young Afrikaner women factory workers. The Afrikaner police treated their own particularly harshly, and Bettie’s health was never the same after she was jailed in Old Fort Prison (today the site of South Africa’s Constitutional Court). While Bettie was in prison, Nadine gained permission to visit her by pretending to be her sister. It is clear that Nadine was indebted for her own political education—as well as a measure of her feistiness—to Bettie du Toit. Nadine supported Bettie emotionally and financially, helping her to leave South Africa when her legal pressures mounted and it became clear that she would again wind up in prison. Although placed under a government ban for her role in the African National Congress’s Defiance Campaign, Bettie had continued her activism and founded an organization to provide food to poor Africans, traveling illegally into the townships to do so. I was a frequent visitor to Nadine’s Parktown house in those early childhood days, but my memory of her in that period is shadowy. She was simply my friend Hugo’s mother, although I knew that she was a writer and that she would not answer the phone in the mornings when she was working, her study door firmly closed. I remember the garden with its rocky outcropping, perfect for a small boy to climb, and its surrounding jacaranda trees, and I have an image in my mind of my mother sitting with Nadine over tea, but I was really more interested in Hugo’s books and toys. We left South Africa when I was 11, moving to London. The Special Branch had raided our home in Johannesburg and increased its surveillance of us as part of a government crackdown on voices of opposition. My mother was particularly haunted by something Bettie had said shortly after she was released from yet another stay in prison: “You should leave before your husband goes to jail. He would not be able to stand it.” What bothered her most about prison was the constant shouting, and the horribly harsh way the white warders treated black prisoners. He took me by the elbows and drew me round, close against his knees and I saw his teeth white for a moment, and knew that he had smiled. He enclosed my head and his knees in his arms and rocked them gently once or twice. The most suffocating joy took hold of me; I was terrified that he would stop, suddenly release me. So I kept as still as fear, my hands dangling against his shoes. He gave a curious sigh, as one who consents to something against his will. Then he bent to my face and lifted it with his own and kissed me, opening my tight pressing mouth, the child’s hard kiss with which I tried to express my eagerness as a woman. The idea of the kiss completely blocked out for me the physical sensation; I was intoxicated with the idea of Ludi kissing me, so that afterward it was the idea that I remembered, and not the feel of his lips. As a teen who was still, in part, a small boy, I was captivated by the idea of an idea of a kiss. But the novel also introduced me to literature, an abrupt right turn away from books about animal behavior and naturalists’ expeditions. I had previously seen Nadine as just another of my friends’ mothers, a succession of women who were friendly and indulgent toward the small blond South African boy I had been. Now I saw her through a different and almost shocking lens. Here was someone else who looked out at the world from within a conscious sensibility, sensitive and judgmental, aware of the passions roiling inside. And didn’t that mean this was true of my parents’ other friends as well: that they all had interior lives so much richer than their surface roles? We rode up in the elevator, chatting together, and Nadine informed the program coordinator that I would be joining the class for the day. “It’s really only for Columbia students,” the latter said, shooting me a dirty look. She was kind enough to give my first book, a collection of stories, a warm endorsement a few years later, though she did add a note to my editor telling her off for not editing it more rigorously. I called her when I visited South Africa in late 1990, a time of heightened tensions there. The euphoria of Mandela’s release that February had worn off, and there was increasing anger around the country, with talk of a “Black Christmas” if conditions did not improve and the move toward democracy remained stuck. Gordimer commented that the Chinese curse was that you should live in interesting times. Arthur Miller was visiting, so she didn’t have time for tea, but she did invite me to a talk he was giving in Fordsburg, at that time an impoverished mixed-race neighborhood close to Johannesburg’s inner city. It was a dangerous area to be in at night, and after the talk I watched Nadine fearlessly make her way to her own car before I got into mine, after first fending off a large, menacing drunk who was aggressive in his demands for money, even plunging one hand menacingly into his coat as I jumped into my car and slammed the door shut. Oddly enough, I never had a chance to see Nadine in person again, though we talked a few times on the telephone during my various trips to South Africa. She was extremely busy and often traveling abroad, and I was reluctant to intrude despite her friendliness. In important respects, Nadine’s work taught me to read—and as I grew as a reader, I asserted my own judgments and preferences with the books I encountered. I was less enamored of Nadine’s writing in her later years, particularly the style that she developed to represent the inner thoughts of her characters through staccato sentences, eliding regular sentence structure. Still, I often return to her short stories, with their Chekhovian clear-sightedness about their characters’ assets and follies. In these stories, Nadine Gordimer wields language with surgical precision, creating a cold, hard surface that inevitably hatches into something warm and human and deeply affecting.